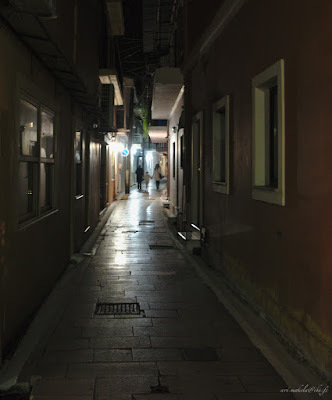 Dark, narrow alleys of Lefkada Town are photogenic. 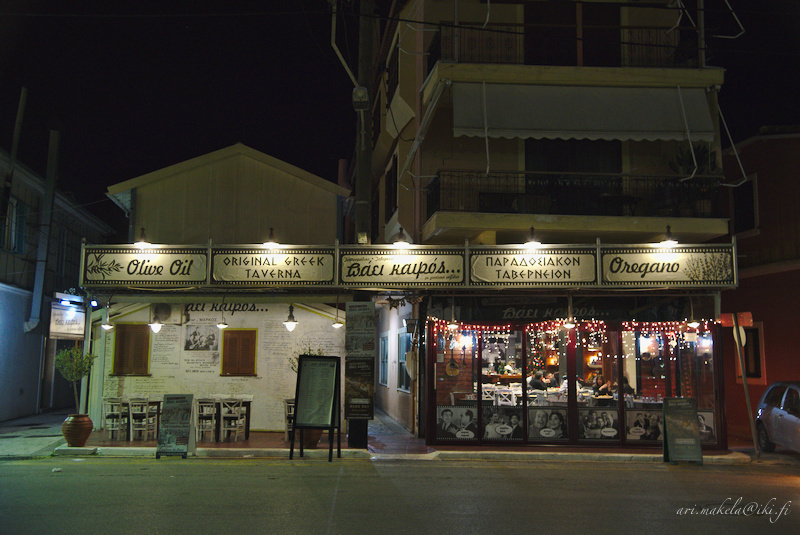 During our summertime stay at Lefkada we, more often than not, ate at some of many restaurants of Sfakiotes mountains. 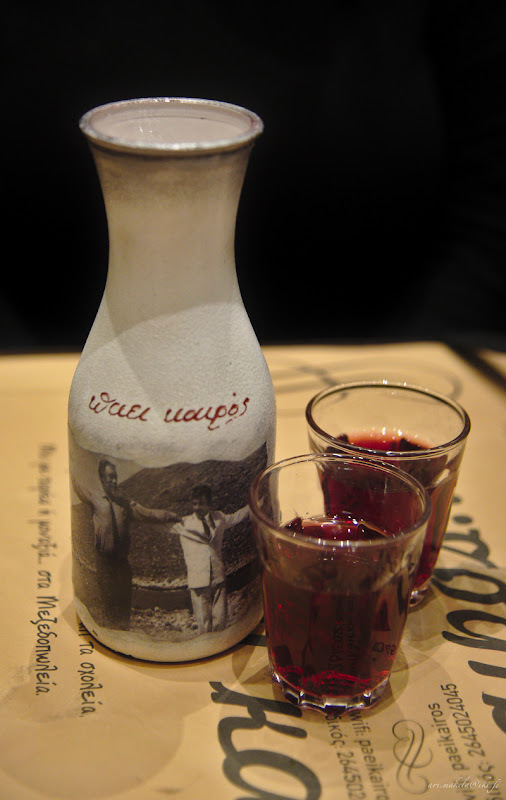 However, every now and then we ate at Lefkada Town and one of our favourites was Paei kairos. We always ate outside, enjoying the weather, but we of course noticed the names on the backs of chairs and other movie themed elements of interior design. On this trip we ate at twice at Paei kairos. 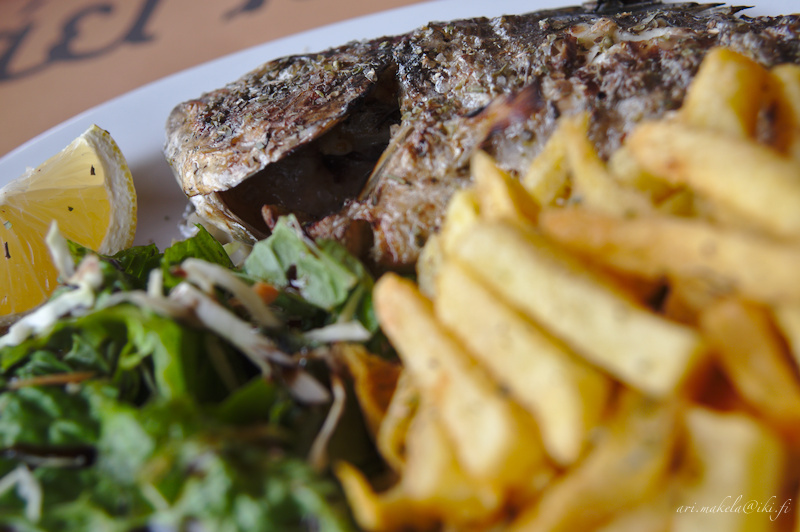 The first time was a lunch when Heidi had sea bream and I had perhaps the best meal of the trip. 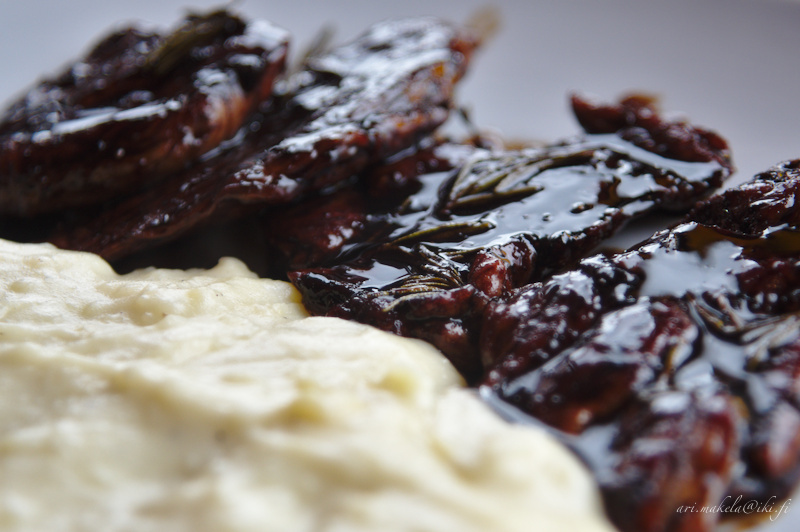 The meat and sauce of the winter rosemary pork were just delicious. During our visit we learned that the restaurant had live music on several nights a week. 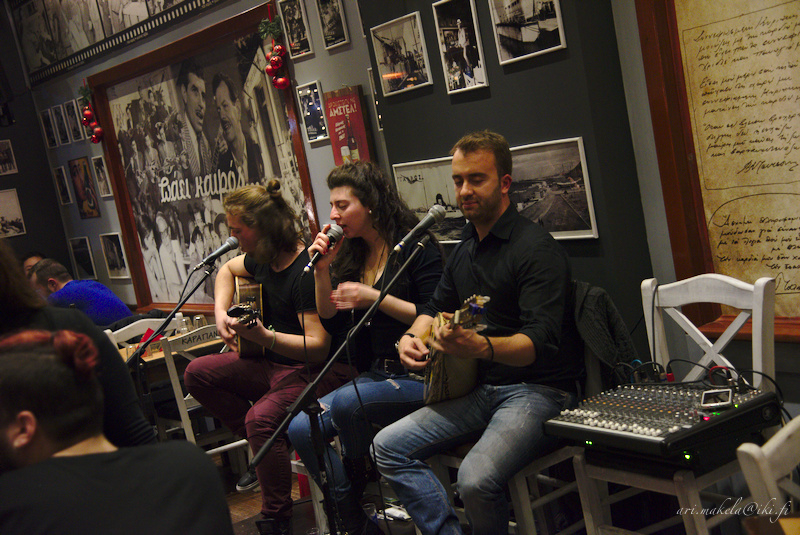 Music is dear to us so we definetely wanted to visit at leat one of the Paei kairos music nights. Winter rosemary pork, the meat was excellent. 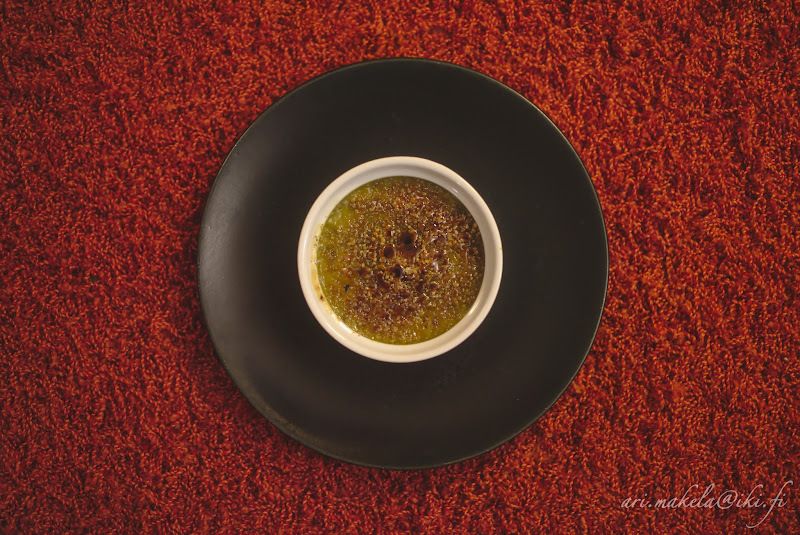 Greek restaurants very often serve a complimentary dessert after the meal. Even the decanters in Paei kairos are movie themed. 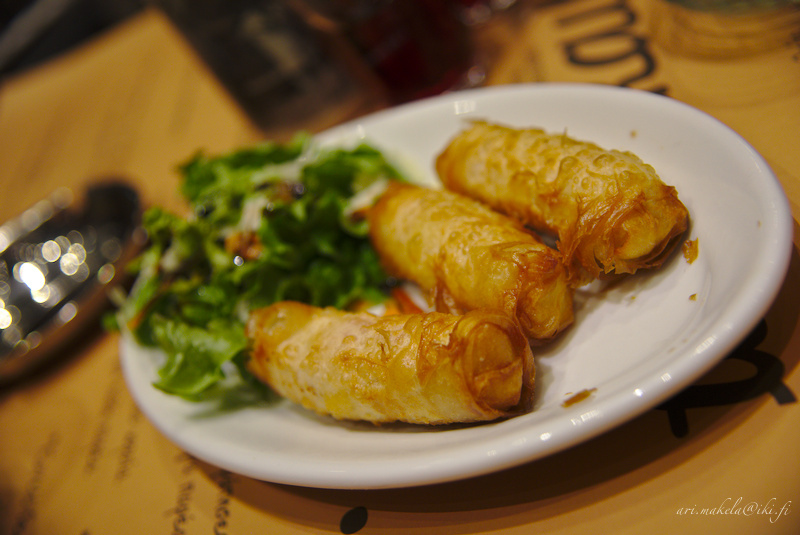 Cheese and ham filo pastries are absolutely delicious. 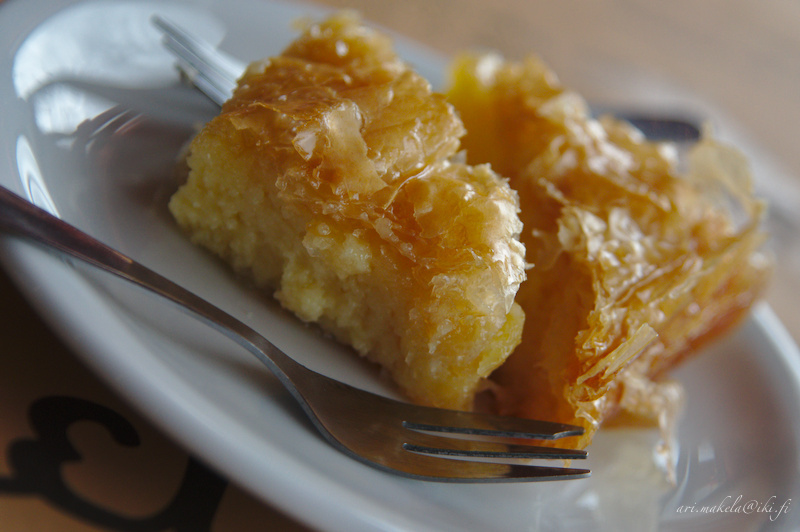 We have eaten cheese and ham filo pastries in several restaurants in Lefkada and I really want to try to make them at home. 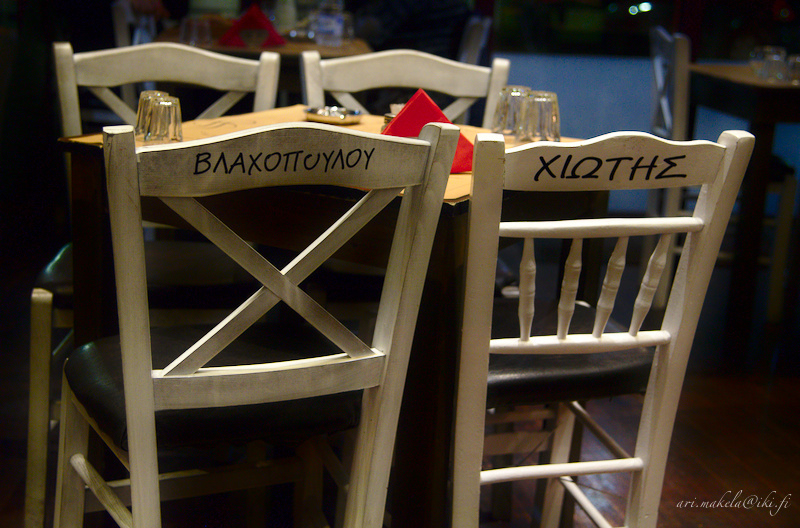 The chairs of the restaurant have names of Greek actors from 60's and 70's painted on them. 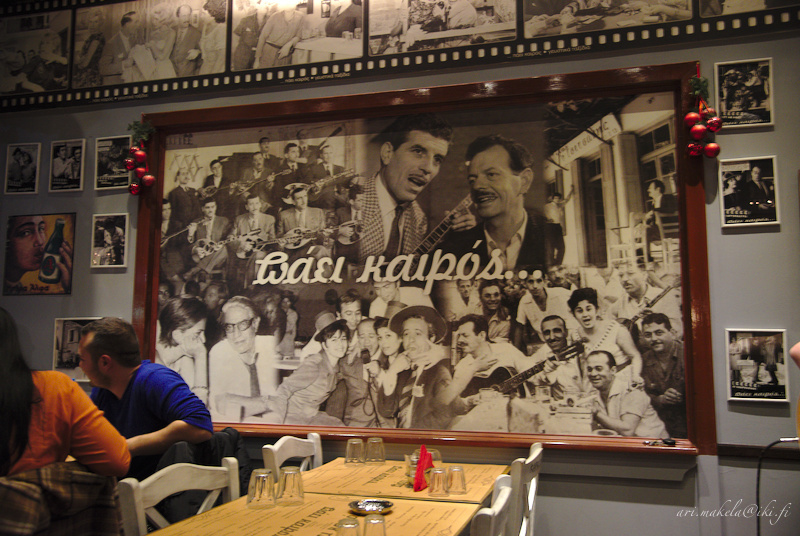 The walls are full of big and small photographs from the movies. The vocalist was very good. And so were the bouzoki and the guitar players. 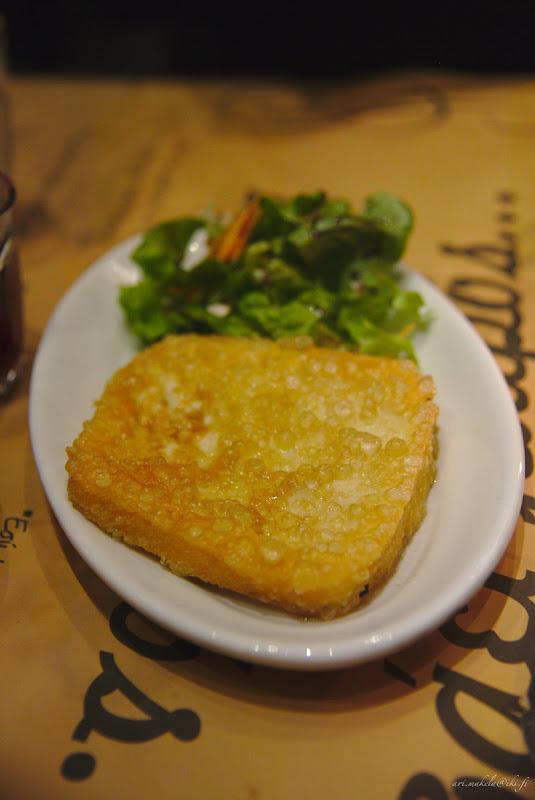 Saganaki was also tasty, and it's one of those Greek appetizers I definetely want to try at home. We've repeated a same mistake several times in Greece: the portions may be very big and ment for sharing between several people. If in doubt, ask how big the portions are. This night we shared two appetizers as we were not very hungry and we were satisfied. 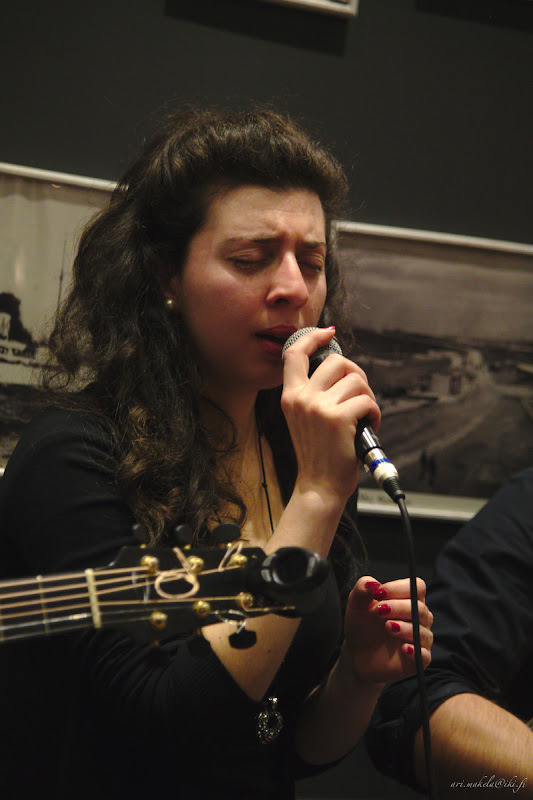 We really loved the food and the music and we had a memorable night. We do recommend Paei kairos for anyone visiting Lefkada Town.